This new tenth-generation Civic boosts both the vehicle’s performance and its aesthetics, which are both great things to add to a vehicle that already is known for elite safety ratings, high efficiency and advanced technologies. Specifically, the new Civic will receive a new drivetrain option: a turbocharged four-cylinder VTEC engine that will appear in the American version of this vehicle for the first time this upcoming model year. Also, rumors of a Civic Type R also turned out to be true, as Honda will make the rally drivetrain of the circuit Civic available for the first time in the States, as well. The new aesthetics are equally impressive. In New York, the car debuted as a surprise in a vibrant green paint job, but more important than the color was the new sheet metal and exterior design. The new design elements give the vehicle a decidedly sportier look, with loads of great new details that include a spoiler with an arching taillight all along the back end. It’s a great new look for a great new version of the car, and the best thing is that absolutely no one saw it coming. 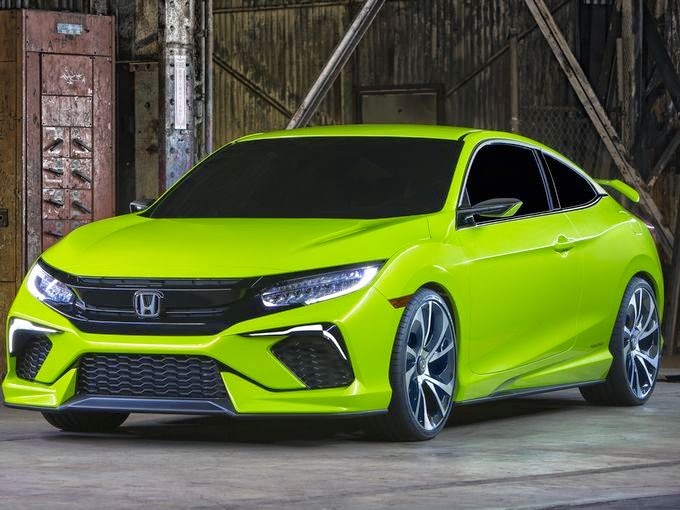 Actually, the best thing is that it will be made available to consumers sometime this fall, and we can tell you with confidence that we cannot wait for the 2016 Honda Civic to find its way here to Pacific Honda.